As an angsty teen, I wrote a lot of dark, broken-heart poetry. As I flip through pages of old journals, review old Word documents that are buried years deep in my hard drive, and even peek at that blog I started years ago when I thought my poetry was great; I realize that poetry is a reflection of the times. I spent some time last year rewriting some of my poetry from when I was younger. I changed words, lengthened stanzas, reorganized structure: but I never got rid of the original. Instead, I put them side by side: a child’s love poem vs the adult version of that very same poem. I’ve decided to share one here in the hopes that it encourages some of you to reflect on some of the poetry you wrote back in the the day, you know naive ones that makes you cringe. We waken, only to remember the faded wisps of the evening’s dreams. the nightmare our union has become. Eventually, the dishes pile up because the meeting went late. The laundry remains in your basket because I can’t stand the smell of her perfume. We hire a landscaper because business trips call us away on the weekends. And when we don’t return home to climb the stairs, who really cares if we don’t sweep them? forcing its ways into the bedroom. screaming from your post on the couch. hanging on to the faded wisps of the evening’s dreams. only to reawaken into the nightmare our union has become. We have romanticized our ability to fake proper love. Your sink is dusted with chin hairs because I’ve escaped to the spare bathroom. This was oddly challenging, emotional, and fun. I encourage anyone who has written poetry to try this. Dig down and find that angst filled Tuesday in high school, when your crush decided to date someone else; unfurl that crumpled piece of paper with your tear stained words on it, and try again. It’s a very real way to see how far you have come as a writer, and as a person. I have discovered two things: my vocabulary was severely limited when I was younger and I had the very cliched emotional range of a teaspoon. Our skill in writing grabs the reader, but first our experiences must grab us. Share you re-writes with us! 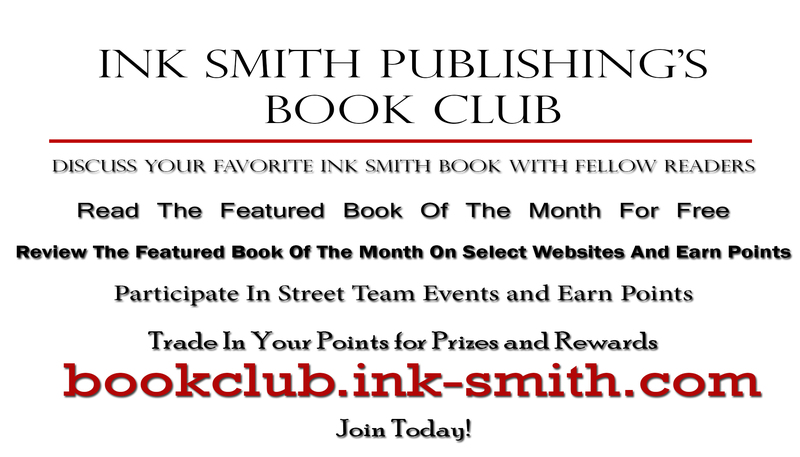 Send us your original and re-worked version to EditorInkSmithPublishing@gmail.com. Corinne has her MFA in Writing from Lindenwood University and her MPS in Publishing from George Washington University. She has been an editor at Ink Smith Publishing and Native Ink Press since 2013, taking over the company in 2019. Since her first trip to the library when she was a toddler, Corinne has been collecting books, recommending her favorites, and providing commentary on the less-than-stellar. Her belief is that if you have a problem, it’s nothing that a good book can’t solve. Authors work tirelessly to bring readers into spectacular worlds. They stay awake for hours, they skip meals because they are ferociously typing away the most exciting murder scene you’ve ever read, or forgetting simple things like showers and their family. They work hard on marketing, readings, sending swag to readers, and anything else they can think of to get books into the hands of their fans. And fans, we read these books. These products of soul-wrenching work. But, after we read these books, what then? They get shelved on our tablets and bookshelves and marked as READ on our Goodreads accounts. And then that’s it. We might mention the book in passing to a friend. We might reflect on our reading experience, maybe even take it down and read it again until it’s dog-eared and worn. And the author goes back to work writing another one. And you wait for it. As the reader, we demand more of the worlds we enjoy escaping to. We stand in line, we pre-order, we devour. Knowing this, knowing that as a voracious reader myself, I owe a little bit more to the author. Nothing too big, of course. I’ve bought their book, but that isn’t enough. If I love something, or hate it, or find it enlightening or enraging, then I should talk about it. I should leave a review so that other readers can engage in the conversation. Have you ever read an inflammatory comment on a Facebook post? What does it make you do? Well, for me, it makes me read. I read further. I love the discussions, the point of views. Personally, I’ve actually purchased a book based on the negative reviews it got. (It was The Warded Man by Peter V. Brett, in case you were wondering!) It had good reviews too, but I was really intrigued to purchase by the negative ones. Check out the great reviews our newest addition to the Native Ink Press & Ink Smith Publishing, The Gorilla Picked Me! got on Goodreads. The book is available on Amazon, Barnes & Noble, Ink Smith Publishing, and Native Ink Press websites! Available in Hardcover, Softcover, and e-book (e-book available on B&N and Amazon). Corinne has her MFA in Writing from Lindenwood University and her MPS in Publishing from George Washington University. She has been an editor at Ink Smith Publishing and Native Ink Press since 2013. Since her first trip to the library when she was a toddler, Corinne has been collecting books, recommending her favorites and providing commentary on the less-than-stellar. Her belief is that if you have a problem, it’s nothing that a good book can’t solve. Currently, she is editing for Ink Smith Publishing & Junto Magazine and hoping that her blog posts here will help writers improve and publish their work. Dr. Rob Burton was a professional sociologist for over 25 years at the University of Exeter, the Open University and the University of Plymouth. Now semi-retired Rob works in Nanjing, China teaching English and writing novels. He has authored many academic articles and recently published, with a Chinese co-author, a crammer for Chinese students who wish to succeed with their IELTS speaking test. His first novel ‘Meditations on Murder’ is available now on Amazon as an ebook or paperback. His novels are firmly set in the Urban Fantasy genre where he brings his experiences of traveling the world and his academic interest in Cornwall, the Cornish and the Celtic world to the fore. Rob has an 18-year-old daughter back in the UK. Snook Doggy Dog, a female Jack Russell that he took with him to China and features in his books. Burton provided a fun writing prompt for those of you searching for your next project, looking to get in some writing exercise, or need to take a break from a project you are experiencing some writer’s block with. Off we go! Remember, give yourself at least 30 minutes to write after reading a prompt. If it goes longers, hooray! If not, you’ve at least given your brain a challenging break. Is the Monkey King the world’s most popular superhero? Thank-you to Ink Smith Publishing for introducing us to this new author! You can check out an excerpt of Rob Burton’s work tomorrow. It will be posted on this blog! I am currently ignoring my work in progress (WIP) to bring you this blog post about my WIP. About a year ago, I started writing a new novel. And I, being a writer, often come up with short stories and poems on the way to writing a full-length novel. I like to use one paper notebook for all my writing to keep it all together. And I have since I was a child! My writing process usually involves me studiously writing one book and editing another. And yes, I do realize at the moment I only have one book published. I, however, have written many, many, more! Since I am so muddled on the plot of my WIP, I have begun to edit it already. Because I have no idea where I am, except deep in the Gishlan woods. So here is my unsolicited advice to other authors for the New Year, 2018: Don’t interrupt your own work. Keep your nose to the grindstone and your pen to the paper. Write your poems somewhere else, not in the middle of your novel. Helen Pugsley comes from a small town of twenty in eastern Wyoming. She has been passionate about writing since she was small. Helen enjoys traveling and is always thrilled to excite friends with tales of playing music on the streets for money, conversing with the drunks who frequent gutters, and the epic struggle of finding a decent bath when living in a car. Visit her on Facebook‘s War and Chess page! Need help hitting 50,000 for Nano? becoming a bit more challenging as you work through the plot you are hastily creating. And the deadline is looming closer and closer with each passing day. this effort? The answer: YES! cause writers to detach themselves from their project and drop out of the Nano race. Let’s be honest, we aren’t James Patterson. But never fear, there are some tried and true tricks to keep your word count mounting. time you spend advancing your plot. go back and rewrite sections, instead, write more sections and keep the flow going. words, that puts you 1,400 words behind. that needs folding, make sure you choose a location that is free of those distractions. hold you accountable for these sprints! mind to wander outside of the confines of your story line. scene or character, or to give yourself a quick chapter outline. time filling in the organs! boo-boos can be tended at a later date. Even if you know you aren’t going to hit 50,000 by the end of November, keep writing. There are plenty of places to submit your work to when you’re done! Keep Junto Magazine in mind for your shorter pieces, and Ink Smith Publishing & Native Ink Press for your longer novels! I’ve been struggling with writer’s block for the past few weeks, and it is very frustrating. I go to write and I have nothing, but once I am busy and cannot write, all of my ideas starting coming in. It’s a difficult cycle, but here are a few things that helped me along the way. 1. Give Yourself a Break…Literally! Unfortunately, the more you try, the harder it is going to be to find the inspiration. Just like when you’re working on a puzzle (jigsaw or crossword) and you’re stuck, taking a break and going back to it with a clear mind helps immensely! Taking 15-20 minutes to regroup and come back has helped me so much. Whether I go for a walk, watch one episode of something on Netflix (The Office or Parks and Rec are my favorites! ), take a nap, or even just scroll through my phone—not thinking about the article/post/whatever I’m trying to get done actually helps me more after a rest. 2. Read through old material. Sometimes, when I’m trying to write a blog post on my personal blog, I don’t feel motivated. I feel like I’m just writing into the abyss of the internet and it’s just a waste of time. And then, (because I’m trying to prove myself right), I read through old posts. Seeing what I’ve already done inspires me to write more because I’m perfecting my craft, and even through this short comparison between older pieces and newer, I see how much I’ve improved. So even if you’re trying to write a sports piece and you’re reading through an old screenplay you wrote five years ago, it still gets the gears turning in your head and helps bring the motivation back. About a solid 65% of my writer’s block is pure anxiety. “I can’t write now, I have laundry and dishes and FILL IN THE BLANK”…and then I never actually get to writing. Or the dreaded procrastination bug: “Ah, this isn’t due for awhile, I still have time,” and then it’s the night before (or the day of) and I haven’t even opened up Word yet. Since I deal with anxiety about most things (thanks to a generalized anxiety disorder), I’ve learned to combat these thoughts. I take a few deep breaths, and I tell myself that I’m too frazzled to do anything right now, so I might as well meditate. I like TheHonestGuys channel, and I just do one of their shorter ones to refresh my mind. After doing so, I feel relaxed and don’t feel the pressure from earlier to get everything done right now, and it’s easier to write because I don’t feel as rushed or pressured. 4. Try Not to Psyche Yourself Out…or Should You? Whenever I’m writing for myself and don’t care about my audience, I’m more comfortable and therefore it’s easier to write. I don’t worry about format or grammar. I just write. However, whenever I have to write for a purpose like a school assignment or something for work, etc., I find myself so caught up with everything being perfect that I forget that I am good at this. What I have found is if I tell myself that this is just for fun and only content matters, my thoughts and ideas flow more freely. I then take a break (more often than not I get a snack!) and then go back and edit. This helps keep me at ease and keep my mind thinking outside the box, not just what I think my audience will want to hear. And then once I edit, I can always make sure it meets the expectation. There are a few authors I follow on Instagram, and seeing their pieces throughout the day keeps me motivated to always be ready to write. And sometimes, when I feel particularly unmotivated, I read chapters from my favorite books or a few of my favorite poems. These are just a few of my tricks to help me beat my writer’s block. And sometimes they don’t work, but that’s okay. As long as there is a will, and ink, there’s a way. Jenna’s passion for writing started very young, even winning her a Young Author Award in elementary school. Since then, she has written for The Odyssey and Puckermob, and has read countless books in many genres. Her love for writing is unmatched, and she hopes to become a published author herself one day. Jenna holds an associate degree in Liberal Arts from Ocean County College in Toms River, New Jersey. Dawn Napier, the author of Star Pack, has an assignment for you writers! Check out this fun writing prompt to get you started on your next great novel! You’re in a boat over a deep, dark lake. Something scrapes the length of your boat, and you hear someone whisper your name. Now, grab your pen and paper, or open up a new Word document, and get writing. I like to add some mood music to my writing. Here are a few “creepy” songs to use while you write. Feel free to share your creepy song suggestions, or even a bit of your writing, in the comments! Rolling Stone has a great list on their website, too. You can find the list here! In this day and age of technology, many real-life experiences have seemed to fade in importance. Hanging out among friends is now just relaxing in the same room on their cell phones. In fact, any social event is made up of cell phones taking up a majority of people’s attention. Social media platforms are more important to people than real friendships in person. The internet, in all of its glory and accomplishments, has taken over a lot of people’s lives and priorities. I’ve noticed this in myself, actually. At one point in time, my presence on social media was more important than my off-screen life. I was more caught up with Twitter retweets and Snapchat views than real conversations, and it wasn’t until I missed an event in a close friend’s life that I realized I had to check myself. I also realized it was a long time since I had written. I’ve written Facebook posts, Twitter threads, etc, but nothing for myself. Not like I used to. I’ve kept a personal journal for years, and it has helped me immensely. Whether it be getting things off my chest, or working through life decisions, writing has grown to be a part of me. Inspiration for stories or poems come to me at the most random times, and I see writing opportunities everywhere. Surprisingly, writing is not a common hobby for the majority of the population anymore. And a percentage of those who do write prefer to have followers/subscribers; so anything they do without viewers doesn’t seem worth doing. Hopefully today, I’ll let you in on the secret as to why writing is important and why it’s a life-changer for many of us. Writing for social media and for yourself are two different things. When you write for any sort of audience, there’s a filter and also a purpose. When you write for yourself, for the most part, there’s no purpose or target other than self-fulfillment. Easing that burden of meeting an audience’s expectations helps the creativity flow, at least for me! The society we live in seems to dictate success by the measurement of how many people see your work and respond to it. Whether your choice of platform is YouTube, Twitter/Instagram, Facebook, or some other shareable network, the driving factor of this “success” relies heavily on followers, subscribers, the number of views/likes, etc. The act of writing shouldn’t need gratification from social media. For those of us who have a Twitter (or any other platform obsession), it is too easy to get caught up in thinking personal reflection needs to be in the form of a [INSERT PREFERRED PLATFORM HERE] thread. It seems that if there’s something you want to say, it has to be done online so it can go viral. When it comes to writing, something that seems obsolete in this day and age, this art form should be taken seriously. When I write, I try to have silence or at least soft music on in the background. If I’m writing in my journal, I don’t really care about where I am; but if I’m writing for something (like school or Ink Smith), I write at my desk to help keep me focused. I don’t care if anyone sees my writing. I’m not saying that no writing should ever be done online. Me writing this article would be hypocritical if that was the claim I was making. I’m just saying that, as amazing as social media is, it should not replace true writing. It should not replace the soft, gentle reflection, or ferocious scribbling as a thought consumes you. It should not be peppered with SEO keywords just because you want it to show up first in a search. It should not only be written with the sole purpose of many people reading it. Writers who write for the enjoyment of it, for the catharsis of it, even for the utter need to write – those are the writers who will find their writing most relatable to others. In short, as long as your purpose for writing is to achieve some form of Internet Fame, then wanting to post your work online to share doesn’t have a damaging effect on your writing. Just because your work doesn’t go viral doesn’t mean it isn’t a message that people want to hear or a work of art that people wouldn’t appreciate. I am all for innovation. I’m 100% in support of social media, and I think it’s a great thing. It helps people reconnect, celebrities seem more like regular people, and it brings a lot of people together. I just think that it’s important people remember how useful things offline can be, whether in functionality or whatever else. Writing is a great tool and is most definitely worth doing in any way. Inspiration comes from a lot of different places. Each place you visit, live or pass through has quite a bit of history. History is a great place to start a story. Think about every book you have ever read. Every non-fiction piece: history. Every fiction piece has history. It’s the path in which the story took to arrive at the end of the journey. This week I’ve been in Iceland. I had never really thought about Iceland’s “story” other than the fact that there were Vikings involved, they have a cold, relatively dark winter, and 24-hours of daylight during the summer months. During our excursion one night to find the Northern Lights, the guide told us a story. It was Búkolla the Magic Cow. Our guide sat at the front, her Icelandic accent transporting us to a farm where a boy and his family lived. “Once upon a time,” she began. The story was short and sweet, detailing the trials of a young boy and his cow against the might of trolls. Everyone associates Ireland with the fae folk, the little people, fairy tales. At least, everyone I know. But I never thought to think of Iceland having stories riddled with creatures, trolls particularly. It was a new experience for me, and immediately my head was spinning with new tales that I could weave based upon the stories from Iceland. Aside from the stories we heard, the land is fickle and beautiful. Snowstorms can crop up out of nowhere, rage for a few moments and disappear as if they were never there. The mountains are breathtaking, the Northern Lights sought after by every tourist, the Blue Lagoon a warm-water paradise, waterfalls, geysers, glaciers, even the snow sprinkled streets. And let’s not forget the real history! Vikings settled this land and statues of these settlers and other famed people dot the city. There are tales here, both already told and asking to be written—a story in every aspect of the land. This goes for any location. But I know, that after my visit here (even during) I will be writing stories and poems with Iceland at their hearts. Corinne has her MFA in Writing from Lindenwood University. She has been an editor at Ink Smith Publishing and Native Ink Press since 2013. Since her first trip to the library when she was a toddler, Corinne has been collecting books, recommending her favorites and providing commentary on the less-than-stellar. Her belief is that if you have a problem, it’s nothing that a good book can’t solve. Currently, she is pursuing her MPS in Publishing at George Washington University, editing for Ink Smith Publishing and hoping that her blog posts here will help writers improve and publish their work.